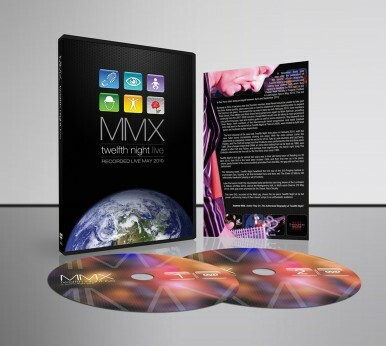 You are here: Home » News » MMX DVD – Special Offer! Our special offer on the Reading Rock DVD was so successful that we have decided to do another promotion this month! This time it is the MMX DVD – to celebrate the 3rd anniversary of its release in 2010. So for the month of October the DVD is available at the special price of just £8 (less than half its normal retail price). To remind you MMX is a double DVD, recorded live during the ‘Play On’ tour in May 2010. This gig in Wath-upon-Dearne featured the powerful 6-piece line-up, and was our first newly recorded album since 1986! The double DVD showcases all 14 tracks in high-definition video… over two hours of music with a multitude of extras including an alternative view with a stunning AV presentation, three slideshows, newly recorded interviews with the band, backstage footage, specially written music, extensive sleevenotes, ‘Easter eggs’, and much more! So as this is a limited-time ‘web-only’ offer you know what to do.